Well we finally made it to the top. 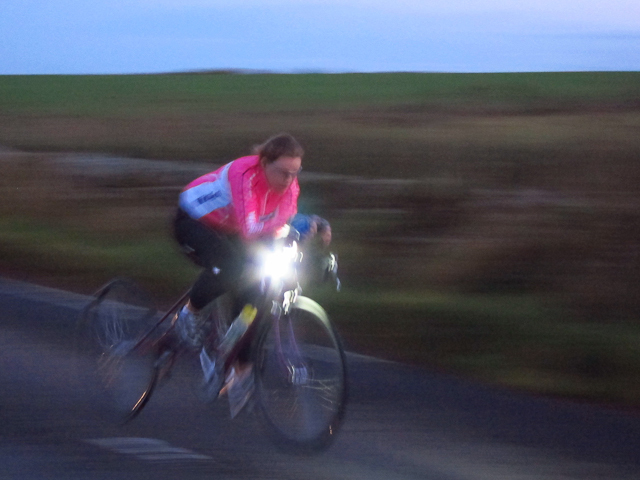 Jane arrived at John ‘o Groats at 22:45 on the Thursday night. She chose not to carry on for the 1000 miles as an achilles problem was beginning to flare up. The End to End was always the primary objective. There were a few bonuses on the way. All are subject to ratification. 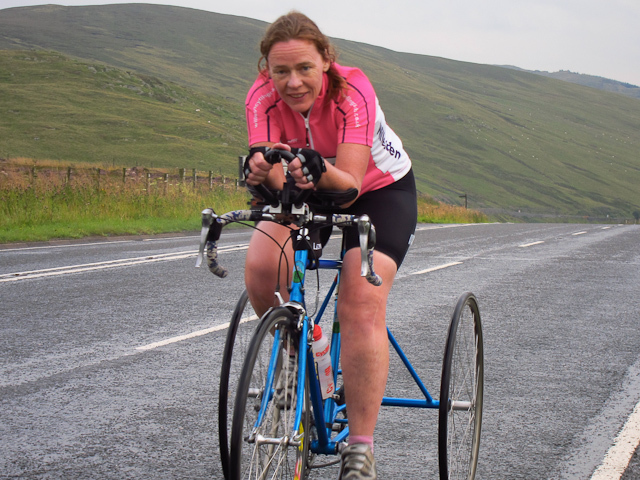 Jane could end up with the following – none of which have ever been achieved by a woman on a tricycle. End to End 3 days 16 hours 45 minutes 21 seconds. 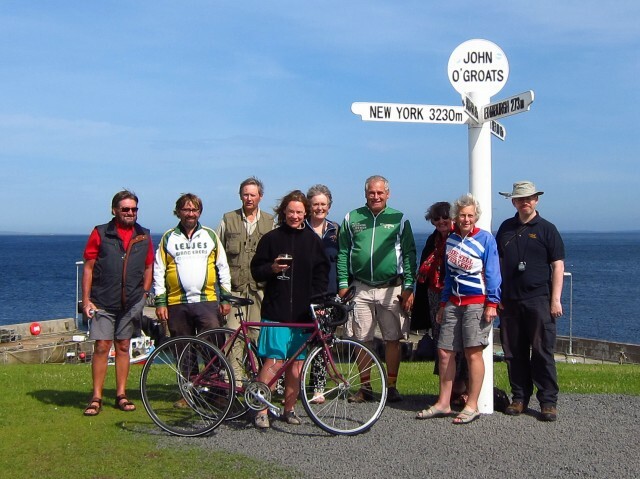 And Lands End to Bristol 14 hours 35 minutes. The ride blog was followed by people as far away as New Zealand and an office in Munich was getting very excited as the story unfolded. Quite a few people had a late night on Thursday being unable to sleep until the ride reached its conclusion. Although there are two tandem trike standards that could be achievable. This entry was posted in Time trials, Top 10 Results, Tricycle. Bookmark the permalink. I would like to add that none of this would have been possible without a brilliant support crew and the help we received from the club and all corners once this attempt moved from the bounds of dream to reality. Jim Hopper (Derby Mercury); George White (The Bomber’s – blue trike’s – Dad); Burple, the Purple trike…. And most of all Trike Man, Mark Brooking, who was always there in support, had to deal with several emotional roller-coasters in the run up to the ride but who always believed in me and never doubted that this mad Saffer might actually pull it off . Your turn Stuart! I can’t wait. But forget this loser, this is great stuff Jane. Really great! And you know I have ‘some’ idea of how hard this whole thing must have been so fantastic stuff! Still got a big (vicarious) grin all over my face. Well done Jane, that’s Brilliant!! And well done to the support crew! That’s because its my Dads Directeur Sportif top !!! Seemed good to carry on where he left off. I can just about squeeze into the other one though.